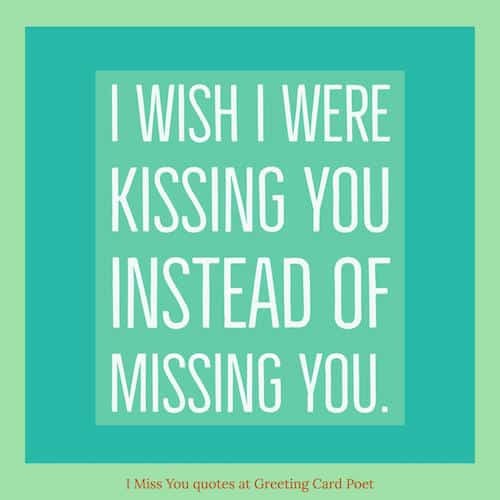 These I Miss You quotes might be ones you can relate to if you’ve ever had a difficult break-up. One of the most painful things is to miss someone you love. 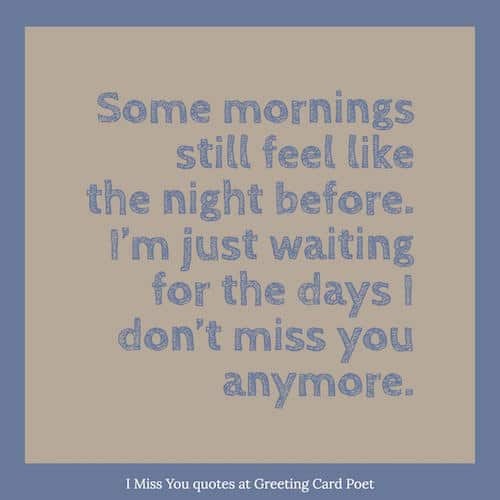 Whether they are gone for a short time or forever, missing someone can be the hardest thing. When your hearts are connected and when you are meant to be together, staying away from them can be the biggest punishment you can face. The most beautiful of memories can create the most painful emotions. If you are missing someone, let them know how you feel about them. Here are some lovely ‘I miss you quotes and messages’ to show your sadness and tell them how much they matter to you. I feel terrible when you miss me, and I feel sad when you don’t. The silence isn’t so bad, till I look at my hands and feel sad…Because the spaces between my fingers are right where yours fit perfectly. Missing someone is part of loving them. It just shouldn’t be this hard. Love is missing someone whenever you’re apart, but somehow feel warm inside because you’re close in heart. If you wanna know how much I miss you, try to catch rain drops, the ones you catch is how much you miss me, and the other you miss is how much I miss you! I only miss you when I’m breathing. I planned to tell you all the bad things why I am mad at you… But in the end, I just want to tell you: I missed you! I can’t sleep; everything I ever knew is a lie without you. I can’t breathe when my heart is broke in two, there’s no beat without you. Missing you isn’t the hardest part. Knowing that I once had you is. I miss you like the sun misses the flowers, like the sun misses the flowers in the depths of winter, instead of beauty to direct its light to, the heart hardens like the frozen world which your absence has banished me to. Drowning in your love… is a death more beautiful than a life without it. I Miss You is an understatement of how I feel right now. Even my tears can’t convey that I miss you and how. The worst thing you can do if you missing someone or need them is let it hide from them. There is a hole in my heart and the only plumber who can plug it is you. Don’t forget to bring the most important tools that will help fix this leak – your hugs and your kisses. When you miss someone….it’s weird…your body doesn’t function normally..as it should. Because I miss you, and my heart…it’s not steady…my soul it sings numb. Fingers are cold…like you…your soul. How vulnerable a turtle feels without its shell, is how I feel without your hugs. And after all the things we’ve been through. I just… I just miss him. And hate being so alone. Does he miss me? He must. 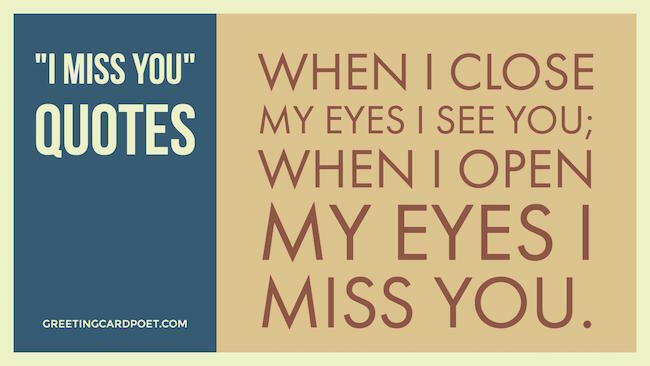 Tip: These I Miss You quotes might help you acknowledge some pain – but, don’t get locked into it. If you’re feeling down, think about calling a friend, going on a walk or listening to some music. I miss you so bad it hurts. You can love someone so much, but you can never love people as much as you can miss them. I hide my tears when I say your name but pain in my heart is still the same. Although I smile and seem carefree, who misses you more than me. 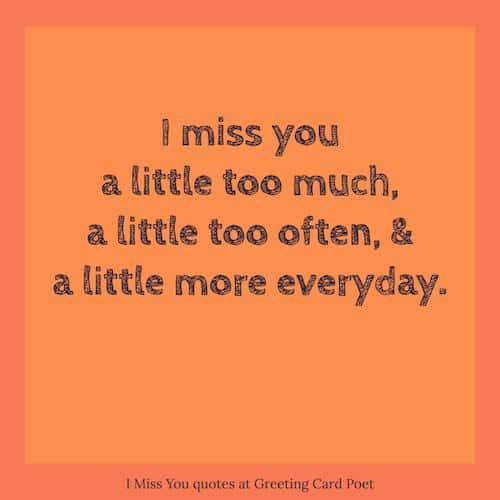 I miss you a little too much, a little too often, and a little more everyday. Sometimes I miss you more than anything and other times I wish I have never met you. You make me miss you so much! When the night comes and the moon is the only light you see. Look at the stars. Can you count them? I miss you that much. 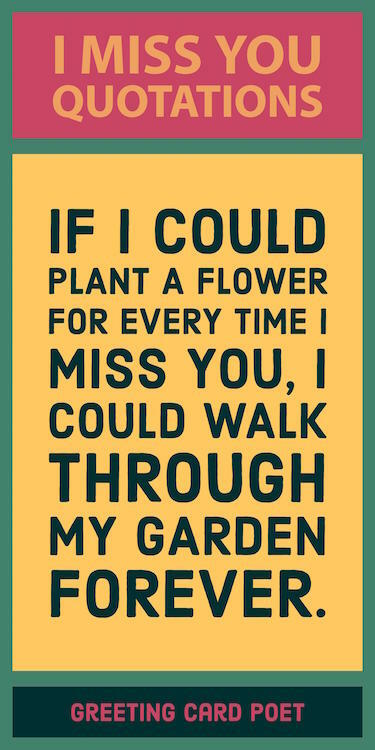 You’re on I Miss you Quotes – page 1 of 3 of Goodbye Quotations, I Miss You Quotes and Fond Farewell Sayings.